Faeries magic comes from nature. So, let's use nature to make some magic. 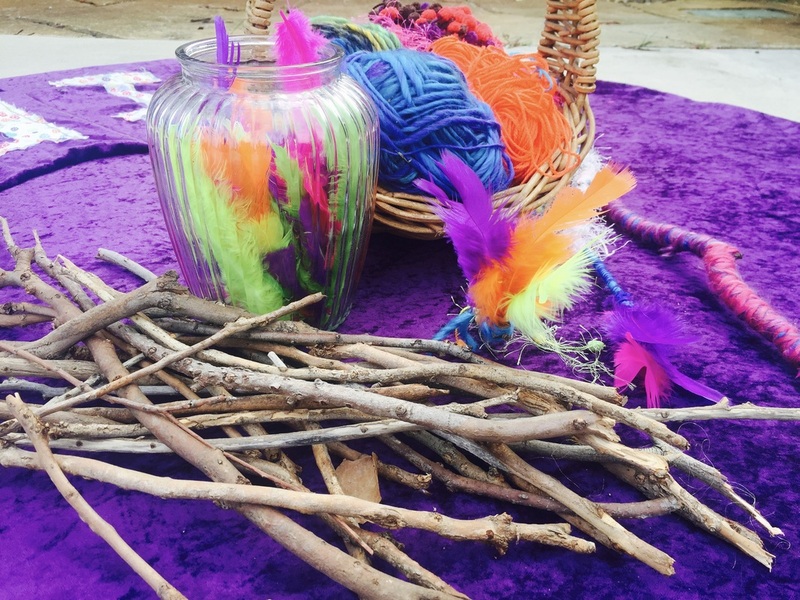 Wild crafting fallen sticks we use colourful wool, feathers and seed pods to create bright creations. This is an event favourite. 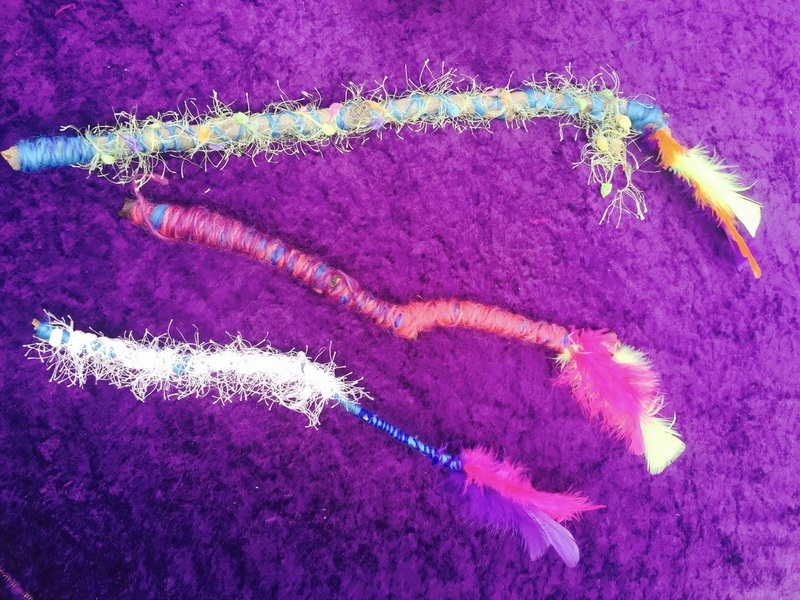 Children delight in taking home their hand made faerie, wizard, mermaid, witch and pixie wands. 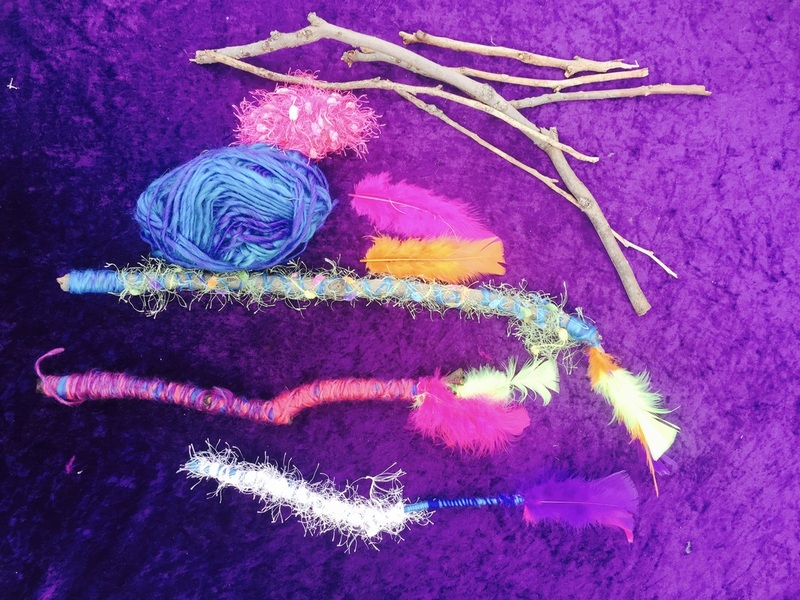 Eco Faeries encourage children to go for bush walks to find more magical objects along the path to add to their wand. Eco Faeries will gather natural sticks before an event. We check for sharp edges and signs of infestation. If the event is near a bushland or park we prefer to arrive early to collect sticks locally. Sometimes we are near trees so we can ask children to find their own magical wand. They always know which is the right one for them- it feels magical!! 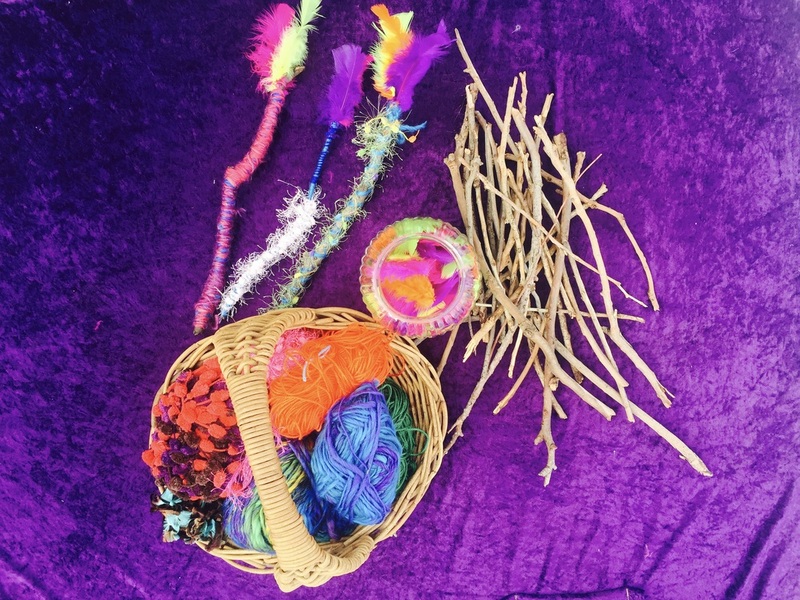 Eco Faeries bring a selection of yarn and feathers for children to decorate their wand. Finishing the activity we need to think about what magical words to use to make our wands work. Please don't turn mums and dads into frogs, we get into trouble. In case of accidental magic please remember to stay calm, the magic is only a short spell and will run out soon.